I'm using VB5, I want to be able to load an existing PDF file and view and print it. This is my only requirement, do you have a basic OCX or DLL for this? 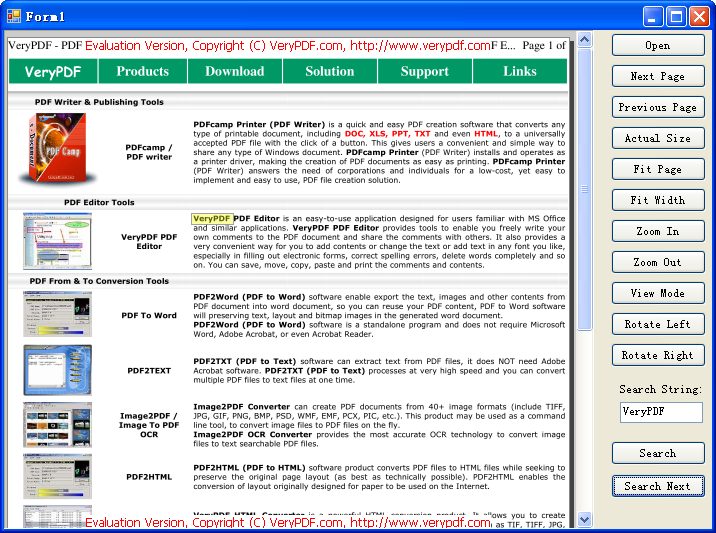 You can use #1 (PDF Viewer OCX Control) or #2 (PDF Editor OCX Control (ActiveX)) to view the PDF files, and use #3 (PDFPrint Command Line) to print PDF files, we hope above products will useful to you. How to capture button pressed events from PDF Editor OCX Control (PDF Editor ActiveX Control) in VB.NET program language? How to find out which fonts are referenced and which are embedded in a PDF document? How to change PDF text color? This entry was posted in PDF Editor, PDF Print, PDF Viewer OCX and tagged pdf editor ocx, pdf print, PDF viewer. Bookmark the permalink.